You Are Here: Home > What are the 2018 Jaguar F-PACE Technology Features? Colts Neck drivers don’t just want a vehicle that will get you from point A to point B. Instead, you want something that will do that while providing you with ample information, entertainment, and connectivity. When you look at the 2018 Jaguar F-PACE technology features, you can rest assured you’ve found the vehicle that gives you everything you want. Explore the new Jaguar F-PACE technology features below. Every Jaguar model is equipped with the impressive Jaguar InControl® system, which makes it easy for you to feel the connectivity and entertainment desired. Plus, this suite of features offers so much in terms of innovation, you’ll enjoy your Rumson drive even more. While the Jaguar InControl system offers almost everything you could want, the new Jaguar F-PACE comes with additional technology features. The best way to find out more about the suite of 2018 Jaguar F-PACE technology is to get up close and personal with a model and tinker around. 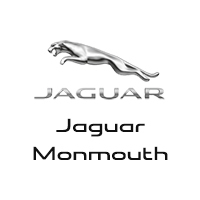 Visit Jaguar Monmouth today, located at 807 NJ-35 in Ocean, NJ to see our inventory, or contact us at (877) 672-8680 to talk to us about our vehicle specials.